If you love antiques and all things vintage you will truly relish a holiday in the South West: Not only are there plenty of antiques shops to be explored in places such as Ashburton, Honiton, Lostwithiel and Topsham, but there are also lots of fantastic fairs and markets to visit: What better than to browse aged furniture, ornaments and curios without the usual time pressures of the daily grind. And to top that you could take home a truly unique souvenir from your visit to the West Country. Here are our highlights of the Antiques and Collectibles calendar, in the run up to … dare we mention it already… Christmas! 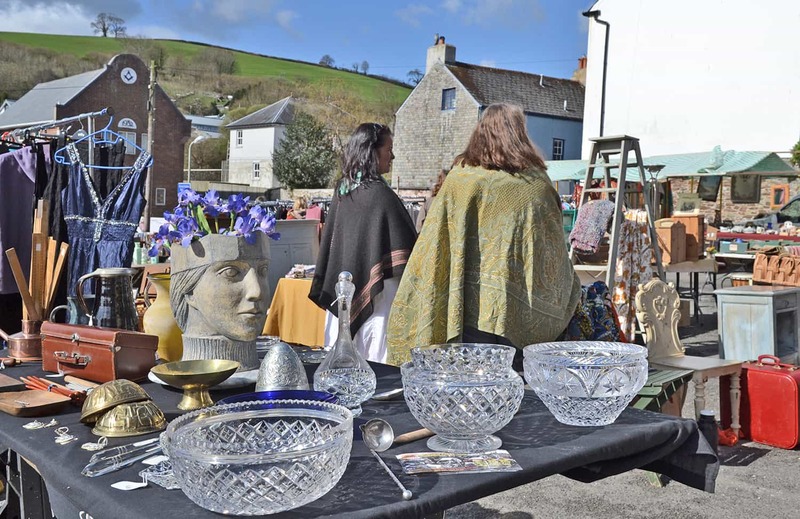 3rd Oct & 12th Dec 2015: Devon County Antiques Fairs at Exeter Livestock Centre, Devon. 6th Dec 2015: Giant Flea and Collectors Market, Royal Bath & West Showground, Somerset. If you’re still undecided on where to stay, take a look at our holiday cottages; there’s something to suit everyone from family and dog-friendly properties to romantic hide-aways and luxurious homes from home. Once you’re here, we do hope you uncover some terrific treasures and fantastic finds around the antiques fairs – happy bargain hunting!